One for all the Jack fans out there! This bottle contains the classic Old No. 7 Sour Mash, but bottled at the higher proof of 43% ABV, meaning that all those delicious, sweet flavours of vanilla, toffee, charcoal and corn are amped up a little. What’s more noticeable however, is the packaging. 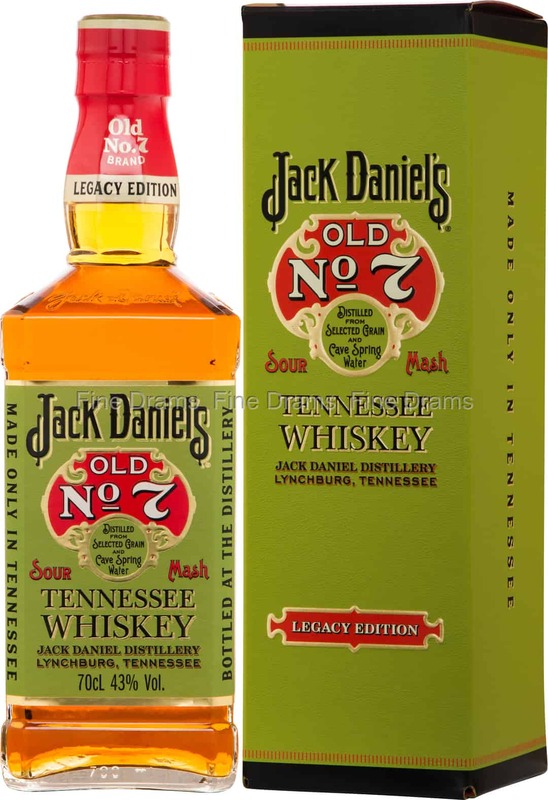 This whiskey was produced as a throwback to what Jack Daniel’s looked like prior to 1904, when it sported this fetching green and gold label, with different font and logos too! Why did they change the label? And why was it green and gold to begin with? The distillery does not know, as they say they have lost the records detailing their labels. However, this bottling is missing the gold medal symbol that the current bottling possesses, first acquired in after the 1904 St. Louis World Fair. This means they can date this design as prior to that year. An eye-catching bottling, and a collector’s item, this is a little piece of liquid history.